This election is so long that it’s a struggle to maintain enthusiasm. In the most irrelevant and non-indicative poll of all time,Newspoll says Labor is winning today which is nice and hey, only SIX WEEKS TO HOLD THAT. Sportsbet still has the Coalition massively in front (1.30 to win versus 3.5 for a Labor win) so you do the maths. Labor’s positives are better, the Liberals attacks are probably sharper but in the end, my guess is the gong will go to the team with the least mistakes because policy is boring and attacks are white noise. Gaffes are funny things – sometimes they actually help by humanising a candidate. Sometimes they are damning and irrecoverable. Either way, it’s fun to blame advancers because they are too tired to put up much of a fight. Arthur Sinodinis says: “A good day is a day where you’re able to get your message across and you largely stay out of trouble,” which is a truism but Arthur knows what he’s talking about because he comes from an era when the Liberals actually governed. Let’s do a tally of gaffes so far to see who’s winning. I realise this is some days old now but wowee! This is a Tampa moment (and by that I mean largely unforeseen/unforeseeable and has lots of people running around shouting, emoting and instructing lawyers); it’s just not clear which party is having the moment. Having the words, ‘raid’ and ‘Labor staffers’ together is definitely not great. But then having a random NBN person sending photos around of your opponents’ policy just looks tremendously bad. In the nanosecond of attention span politics, the effect of the story goes down to which news report you happened to catch. Verdict: I can’t put this into a column. Perhaps a bad one to start with. Hard to put the blame on advancers. Dutton said that refugees were so evil that they basically were (illiterate and innumerate) economic wizards who could take everyone’s jobs and cost the country in benefits at the same time. This looks stupid and uncharitable but really, people who already hate refugees won’t change their mind and people who like refugees already think Dutton is a goose. Was this written down as a key line by an adviser or wild freelancing by the minister? If it was in his speaking notes, this is bananas and his adviser should be taking a good hard look at her or himself. Verdict: Not a game changer but marginally Labor win. Someone at Liberal HQ didn’t do their SWOT analysis well and failed to purchase a bunch of domain names associated with the Turnbull Coalition team so instead the AWU bought them. So far, they haven’t put anything there but they are busy running a union so cut them some slack. Turnbull has already bailed out of more than one event with a candidate for REASONS. The Australia Council made cuts to the Arts and the billsfell due during the campaign. Verdict: mostly Arts people care about this and a lot of them were already voting for the Greens so yeah. 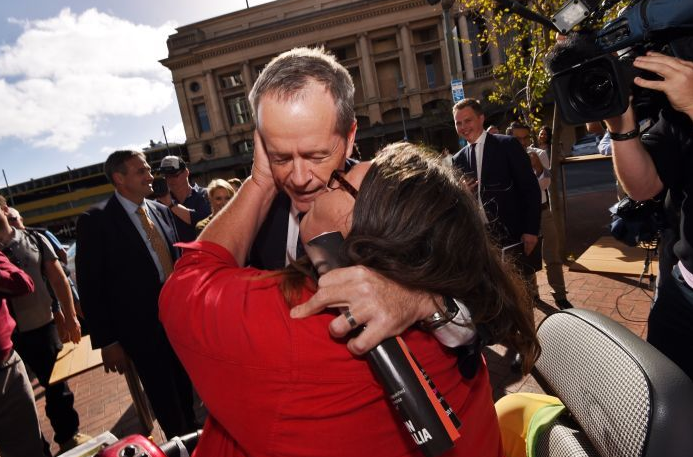 Some random person kissed Bill Shortenon the lips. I don’t even know what to say about this. This is that lady’s 15 minutes of fame. Andy Warhol wept. Chloe Shorten responded by saying she knows how that person feels. I don’t want to think about leaders kissing people much less have to watch it. Except Justin Trudeau. Verdict: I can’t even. You’d have to say that the advancers, with their best foot forward, could not have seen this one coming. Turnbull got confronted by someone who doesn’t like aged care cuts. Far out you can’t walk anywhere these days without being kissed or ranted at or something. The 59-year-old former aged care nurse doing the ranting (why does News Limited have to mention her age? How is this relevant? Are they saying that she is more learned because she’s over 50 or she should stop talking because we all know women shouldn’t talk too much especially when they’re older than say, 25), says government cuts will remove $3.57 from each patient every day. It’s very specific isn’t it? It’s sort of like the specificity that goes into a Parliamentary Brief/PPQ when a minister says, “I need facts, people!”. Kinda like the data that’s in a candidate’s campaign briefing. Or something. Shorten’s constant announcements of health policy in hospital settings have meant doctors, okaypatients, may be shuffled around. This isn’t good. 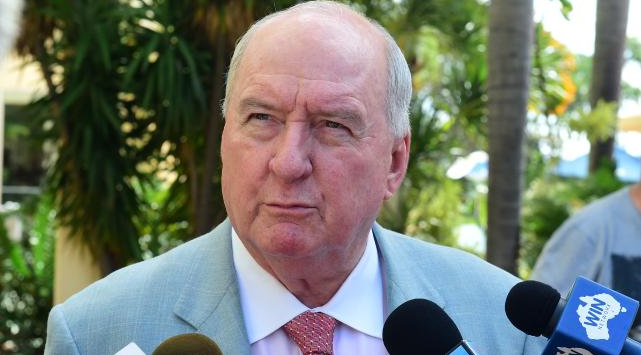 This isn’t really a gaffe but Mal has apparently made up with Alan Jones. The Australian devoted two whole articles to this because Alan’s man feels are core business for them. Did you know, in October 1985, Jones was awarded the Rostrum Speakers’ Award as the Communicator of the Year. Good on you, Rostrum; you made this happen! Verdict: not relevant to the issue which is the premise of this post. There is a hierarchy of damning adjectives for politicians. Besieged: It is not going well. 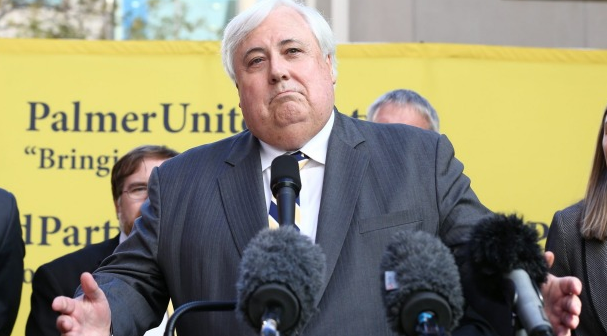 Verdict: Farewell, Clive – don’t let the door hit you on the way out. A gaffe tally was a stupid idea anyway. I don’t have to play by your rules.